The use of hashtags in social media isn’t a 2016 phenomenon. From #Kony2012 to #ShareaCoke, brands and users have been hashtagging their social media content since Twitter introduced it in 2007. In the same way, a well-timed hashtag can make a tweet go viral, poor use of hashtags can tank the credibility of a brand in the blink of an eye. How do you make sure that you’re not annoying your followers with bad hashtags? We’ll show you how to use hashtags by keeping in mind the channel and the context. Not all social media channels are created equal when it comes to hashtags. You’re much less likely to find a Facebook post laden with hashtags than a tweet. Pinterest pins might have one hashtag, while an Instagram post might have more than ten. Knowing the channel you’re posting to before adding hashtags can go a long way toward NOT annoying your followers so much they don’t bother to engage. The birthplace of hashtags obviously supports hashtags. Brands can find trending or popular hashtags in the Trends box, or create their own like Coca-Cola did with their #ShareaCoke campaign. 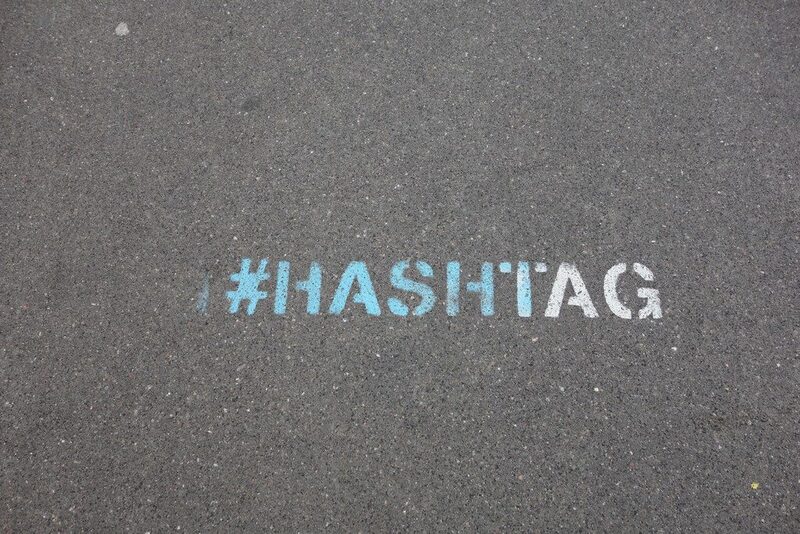 Best practices on Twitter advise brands to use no more than 1 or 2 hashtags per tweet. Any more and they run the risk of crossing the line into excessive, not to mention you’re taking up precious character count. Supports hashtags only minimally. While they highlight and group posts together with the same hashtag, their interface doesn’t allow users to search for hashtags in the search bar. They have to find them on a post and click on the hashtag itself to see other posts. This can feel limiting, but data also shows that posts that don’t use hashtags have a higher virality rating than those that do. If hashtags in your Facebook posts are going to happen, make sure to only use 1 or 2 per post. Using more makes a post seem more like spam than a status update. The most prolific supporter of hashtags in posts. Believe it or not, best practice suggests using 10 or more hashtags per post. Seriously. However, to avoid seeming spammy, ensure those hashtags are relevant. Where the photo was taken, the brand name, what is in the photo, etc… are all viable methods of hashtagging Instagram posts. Pinterest uses hashtags as a sorting system. By searching for a hashtag, users can find posts that are similar to that hashtag, not necessarily posts that have that hashtag in them. There is even some evidence that Pinterest will demote your pin if it has too many hashtags. With Pinterest, using 2 or 3 hashtags is plenty, if you choose to use them at all. There is no shortage of hashtag fails on Twitter that really emphasize how important context is when using hashtags. Whether it’s what the hashtag is used for or just how the hashtag is structured, doing context research ahead of time can save reputations and the need for PR crisis management. A notable gaffe for misusing a hashtag is when DiGiorno jumped on the #WhyIStayed hashtag. Known before this particular incident for its effective & personable use of social media, it’s unfortunate that DiGiorno didn’t look at what the hashtag was used for before tweeting. Whoever forgot to do their research ended up implying that having pizza was a legitimate reason for staying in an abusive relationship. There’s insensitivity and then there’s insensitivity. Another thing to keep in mind with context is how users might use or abuse the hashtag. When McDonald’s came out with #McDStories in an effort to get some home-grown publicity, they didn’t consider the possibility of hashtag hijacking. Instead of the positive stories they had hoped for, the hashtag instead filled with customer horror stories and jokes about the longevity of their food (spoiler alert: science can tell you why they don’t rot). Staying on top of hashtags is an always-on process. Hashtags can trend, grow, and die within hours, and staying relevant without being annoying can seem like a huge undertaking. Social media is a place of wonderful opportunity but it’s also a minefield of possible missteps. Keep in mind the channel and the context when thinking about your hashtag use and avoiding a social media snafu will be much easier. If managing hashtags by yourself seems daunting, you’re not alone. Thousands of companies elect not to use social media the way they could because of its complex nature and continuous innovation. If hashtags just aren’t clicking with you, MAKE Digital Group can help. We offer a free, no-obligation 60-minute strategy session that you can use to help you navigate the fast-changing environment of digital marketing.